30.11.2018: The publication on synthetic amorphous silica is online now! 13.11.2018: We are hiring again! / Wir verstärken unser Team erneut! at University of Veterinary Medicine in Hannover, Germany. The registration for the seminar starts very soon, do not miss it! 14.09.2018: Come Listen to our Talks ! and safety assessment and those who plan a study involving pathology readouts. The new AnaPath GLP Certificate is available at the Quality Assurance page ! 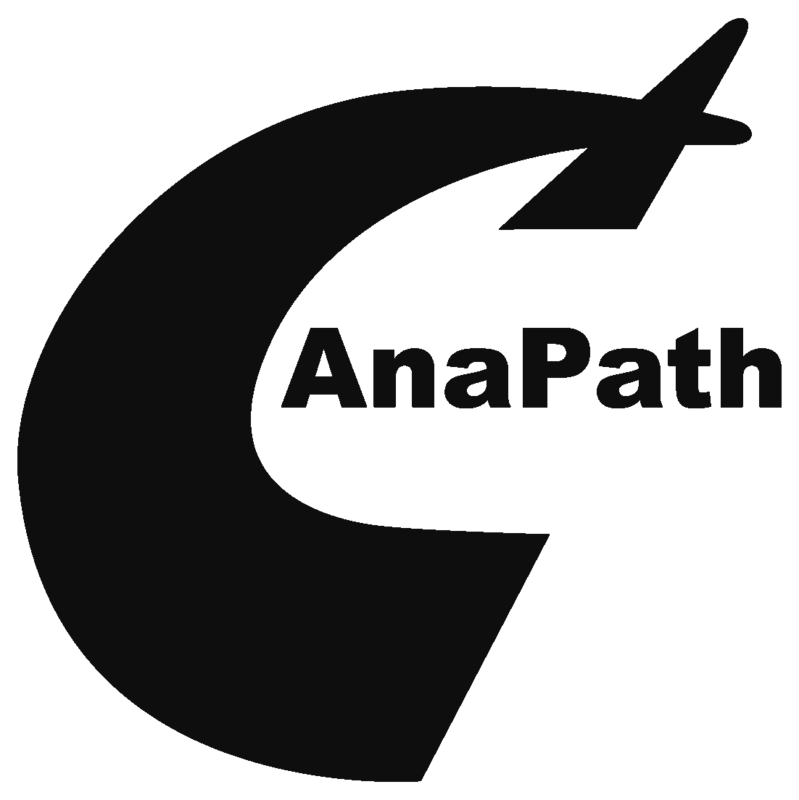 AnaPath launches new webpage! Take time and have a look at the new content and design! 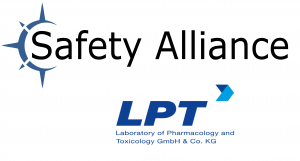 AnaPath welcomes LPT to the Safety Alliance network! 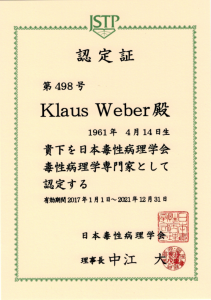 Yes, Klaus, co-founder of AnaPath GmbH, took the challenge and recently qualified as the 498th board-certified diplomate of the Japanese Society of Toxicologic Pathology (JSTP). The society has been dealing with the promotion of the scientific field of toxicologic pathology (by annual scientific meetings and publication of the Journal of Toxicologic Pathology), the quality certification of trained toxicologic pathologists (by the board certification system; Diplomate of JSTP) and the continuous education as well as training of not only young fellows but also diplomates (by annual slide conferences and annual education seminars). AnaPath GmbH is strengthen its capabilities in bio-implant testing through a collaboration with the RMS Foundation. The RMS Foundation is certified according to SN EN ISO 9001, accredited according to ISO/IEC 17025 and highly competent in testing medical and material technology. RMS broad test portfolio includes individual testing services for materials, implants and medical products: incoming inspection of raw materials, chemical analytics and microstructure investigations, electron microscopy, static and dynamic testing of specimens and products, surface and cleanliness analysis and failure reports. Through discussion customized test designs for e.g. implant stability can be conducted. Please get in touch with us today to discuss how we can support you. 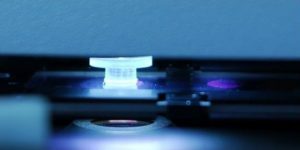 AnaPath GmbH extends the molecular pathology services into Laser Capture Microdissection. Laser Capture Microdissection (LCM) is an automated sample preparation technique that enables isolation of tissue regions or specific cells from a mixed population under microscopic visualization. At AnaPath we use tissue samples as frozen or FFPE samples for microdissection and can conduct LCM under GLP. Please get in touch with us today to discuss how we can support your research.